Hong Kong is a Special Administrative Region (SAR) of People’s Republic of China (PRC), serious about attracting business from around the world focused on business development of Small and Medium Enterprises (SMEs). Hong Kong has a developed financial system ranked as a top leading international financial center and it is mature in term of e-registration (incorporation) service. Local government softened registration system by providing formation of a company in 24 hours – efficient and not demanding legislation once you form a business in. 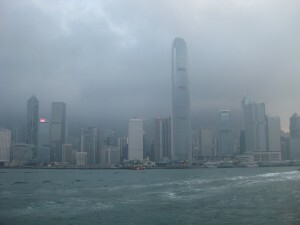 Fast company formation and lots of tax incentives are provided once you decide to run your business in HK. It is a top destination for trading purposes – mostly used as a black box for trading, modern and advanced banking system will escalate your business whether you are an entrepreneur or an investor. This is exactly the kind of region and business environment you want to operate your Asian business in – HK is the most improved region for doing business and in 2011 it was ranked as a second in the Ease of Doing Business Index. Business incorporation (Incorporation certificate) We will submit the following incorporation documents with the requried fees (1740 HK$+2450 HK$) to the Companies Registry; NC1 ( company limited by shares) or NC1G ( company not limited by shares), IRBR 2 – a notice to Business Registration Office, data of shareholders, the next documet is a copy of the Memorandum and Articles of Association certified as a true document by a founder member of the company – more information on Comapnies Registry.